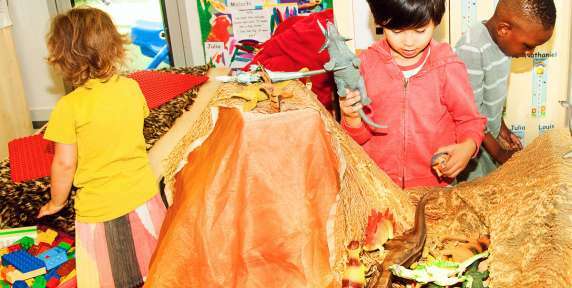 We deliver the EYFS curriculum to the children across the different ages in a stimulating, fun and engaging environment. Throughout a child’s learning journey at Rainbow, the early years practitioners carryout ongoing detailed observations and learning journals capturing the child’s experiences and learning outcomes. Through this process parents/carers are encouraged to contribute to their child’s learning journey. Green group delivers learning experiences for children within the age range 3 months -18 months. The room is designed so that the babies can explore their environment at their level. The toys and play materials within the room are centred on developing the children’s sensory skills, language and communication, physical, personal, social and developmental processing which plays an integral process in scaffolding their learning. We do not have a specific routine in the Green group, we follow the individual routine of the babies within the group. 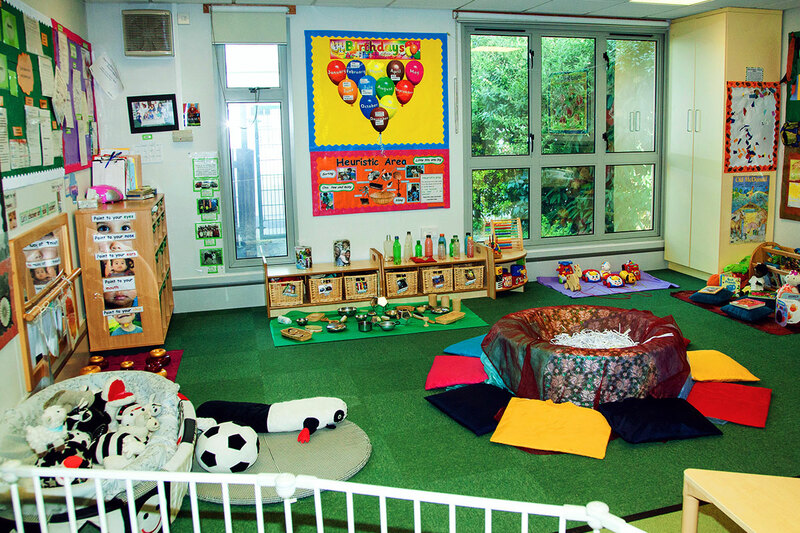 The Green Group has a separate sleep area where children have the opportunity to rest according to their individual sleep routines in a snug environment. Orange group delivers learning experiences for children within the age range 18 months – 27 months. Building on from Green group, the Orange group is a bright vibrant play area. Children have access to a range of child centred toys, play equipment and fun explorative creative activities such as water and sand play. 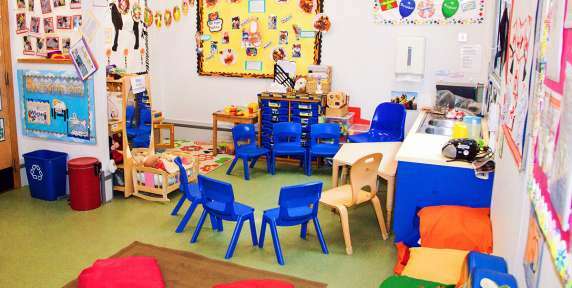 The room is designed for group and individual learning particularly around language and communication, physical and personal, social and development. At this stage of their development Orange group have been introduced to a simple routine which children are able respond to and follow. The Yellow group has a very similar ethos to Orange group. More emphasise is placed on developing the children’s independence and establishing effective friendships with their peers. Practitioners use a consistent nurturing approach to support the children in the prime areas of learning which are language and communication, physical and personal, social and development. Some examples of good practice are supporting children in developing their social skills, such as sharing and turn taking through group games, storytelling, singing and much more. Blue group delivers learning experiences for children within the age range 28 months – 36 months. The Blue group in a very creative group which explore all aspect of the Early Years Foundation Stage. More emphasises is placed on developing confidence and self-esteem, to be self-reliant and self-assured in their surroundings. Children are encouraged through their journey to make their own choices and build on their ideas through physical development, sensory stimulation, imaginative play, construction, opportunities for investigating the natural world, for developing scientific and mathematical understanding and collaborative play. Red group is the final stage of the learning journey at Rainbow Nursery for children aged 30months – 60 months, (Pre-school room). 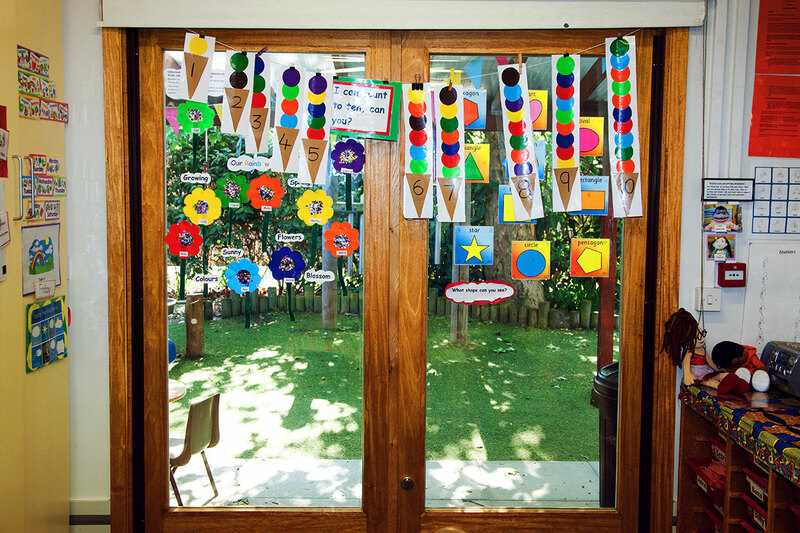 Based on the principles of the Early Years Foundation Stage curriculum and the characteristics of effective learning, the children are encouraged to think creatively and critically, to play and explore and to be active in their learning. 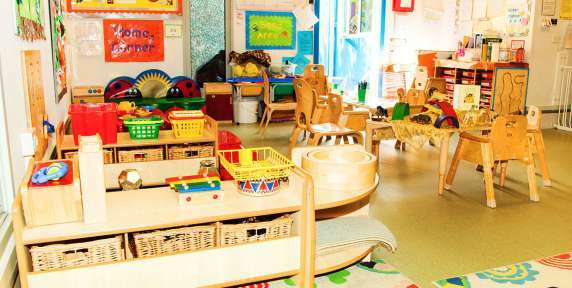 Practitioners plan and provide activities which support the transition from nursery to school. Red group ensures school readiness by consolidating from the previous groups. 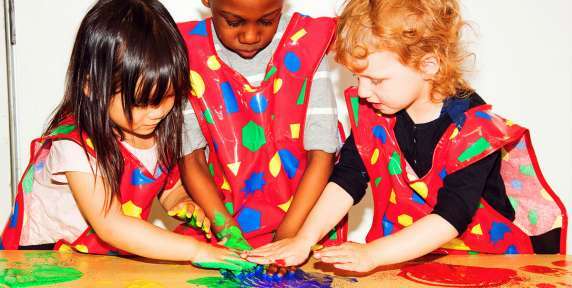 The Early Years Foundation Stage (EYFS) requires that parents and carers must be supplied with a short written summary of their child’s development in the three prime learning and development areas of the EYFS: Personal, Social and Emotional Development; Physical Development; and Communication and Language; when the child is aged between 24 months – 36 months. Why has the progress check at two being introduced? The progress check has been introduced to enable earlier identification of development needs so that additional support can be put in place. When a child at Rainbow Nursery is approaching 27 months, a health review meeting will be organised with a health professional, parent/carer and key person. This will give the parent/carer an opportunity to work and support children in the nursery on promoting health and any health concerns.